When you were dreaming about your holidays in Greece, you definitely had in mind today’s weather: Sun to warm your body, a breeze to cool your head and refreshing dips in the sea. Welcome to Santorini! 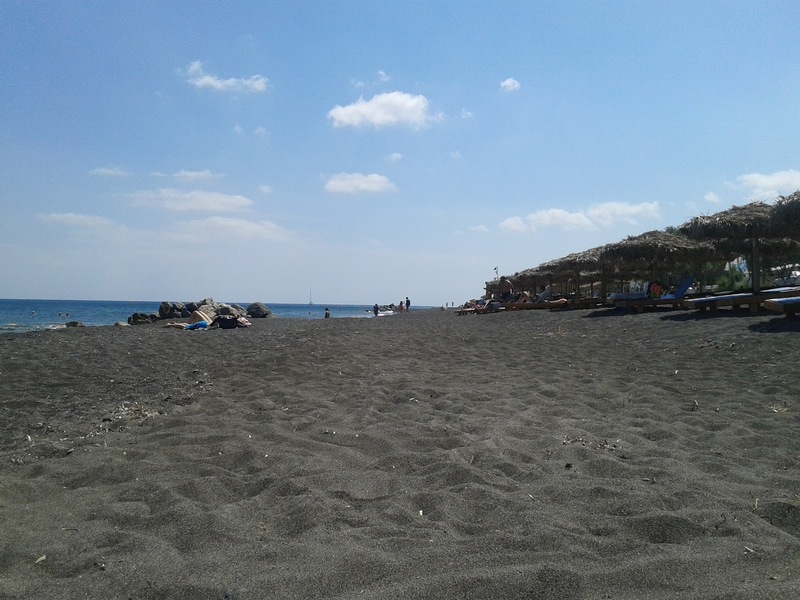 • Perissa - Perivolos: beautiful beach with clear water and umbrellas to protect you from the sun when you start getting hot by the water sports. • Kamari: Under Ancient Thera, the beach offers everything to the visitors: mini markets, bars, taverns and sea beds. 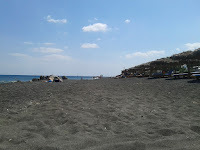 • Monolithos: Build sand castles and let your kids play ... the sea is shallow and calm.